Sri Lankan cricketer, Lasith Malinga, on Friday decided to skip at least first six matches of the upcoming Indian Premier League (IPL). He chose to participate in the Super Provincial domestic One Day tournament to prepare for the World Cup. The fast-bowler also suggested Mumbai Indians to better find a replacement for whole tournament. Sri Lanka cricket board is set to organise a domestic One Day tournament in April as a part of World Cup preparation. The board has made it mandatory for players to be part of this tournament in order to be available for World Cup Selection. 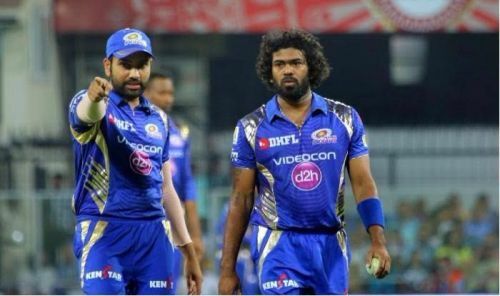 Keeping the same in view, current skipper of the team, Lasith Malinga ruled himself of the IPL, which starts from Friday. The pacer was picked by Mumbai Indians in the auction at his base price of INR 2 crore. "I had asked the board for the No-Objection Certificate for me to play in the IPL, and they had said that was fine, but that all players who want to go to the World Cup would need to stay back for the provincial tournament," Malinga told ESPNcricinfo. "So I told them I'd play in the provincial tournament, and I asked the board to inform Mumbai Indians and IPL, since it was their decision. I'm ok with losing those earnings from IPL. I'm doing it for the country." The Rohit Sharma-led side might also miss Jasprit Bumrah after the first half of the tournament and so well could opt to find a replacement for Malinga.